Send bulk text SMS from PC to individuals or list of phone numbers. Provides Delayed Delivery Options to control the load of bulk SMS broadcasting. Facility to load Contact from File saved in Excel or Text file format. Provides inbuilt list wizard option to maintain the list of contact numbers which you may need to exclude time to time when sending sms from PC. Bulk SMS Software – Professional allows you to send bulk sms from your PC using any USB modems, Android smart phones, GSM or Windows based mobile handsets. SMS sending program sends bulk numbers of reminders, job alerts, notifications and promotional campaigns messages. Bulk SMS Software - Multi USB Modem sends text messages from PC using USB modem. Group SMS software is useful business marketing app for sending thousands of text messages. Software provides advanced delay delivery option to manage load of bulk SMS broadcasting. Bulk SMS Software for Android Mobile Phone is useful to send group sms to individuals or list of phone numbers from PC using Android technology based mobile phones. Software is compatible with Android technology based smart phones with option to send message contains non-English characters. Text messaging software empowers users to send bulk SMS to individuals or list of phone numbers from PC using GSM mobile phones. Mobile marketing software broadcast mass sms in form of job alerts, inauguration, invitations, business advertisement, seasonal greetings, promotional campaigns etc. Bulk SMS Software (Multi-Device Edition) sends thousands of text messages across the world from your GSM mobile phones. Group SMS software broadcasts unlimited text messages from your GSM technology based mobile phone without requiring internet connection. 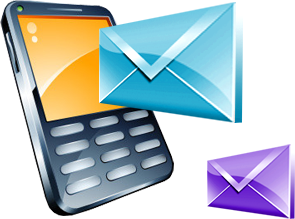 Text messaging software empowers users to send bulk SMS to list of phone numbers from PC using BlackBerry™ mobile phones. Software supports major Black berry cell phone models and enables user to broadcast mass sms in form of job alerts, seasonal greetings, promotional campaigns etc.